Marine-grade Aqualon Edge material reduces heat gain by 33 percent and is permanently affixed to bunkend door. Tents feature aluminum-latched knuckle hinges, and self-supporting cable system rated to 1,100 pounds. Aqualon Edge boasts a 7-year material warranty. Scissor jacks keep Classic level and secure. Scissors are safe, with better stability and weight distribution. Power awning extends and retracts in seconds, with an LED light strip for added ambience. 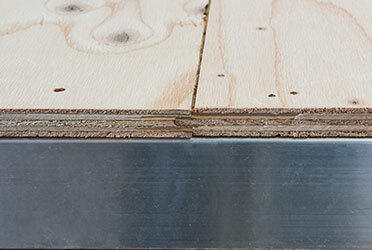 Tongue and groove plywood flooring. Flip-up entry step and folding handrail provides solid footing and deploys effortlessly. Extra-wide 26-inch friction-hinge entry door. Alum-a-tough roofing with 12-year warranty. Convenience and security! One lock for all applications, and standard industry keys can’t open your storage compartments or entry doors. The Off-Road Package includes 15-inch mud tires with aluminum rims, extra ground clearance, an electronically-controlled heated holding tank, and double entry step.